Sometimes it’s easy to make friends at school. You spend lots of time in the same places: class, student organizations, campus jobs and local hangouts. But other times, like when you move off campus or start graduate school, it can feel like you never see your pals. Try out one of these entertaining ideas to bring your old friends back together and maybe even get closer to some acquaintances. The key ingredients for a bona fide grown-up dinner party are friends, food, a place and a time. Lots of dinner parties are fancy, with proper place settings and mailed invitations, but simpler dinner parties can be a great way to catch up with your friends without spending a bunch of time or money. Start with the time. You’ll want to pick a time people are free, obviously, but less “dinner-y” times (like Sunday brunch or the afternoon of a bank holiday) can make for fun themes. If your place is small, reduce clutter, move as much furniture out of the way as you can, and be sure to have enough seating and places for people to set down their plates and cups. You can host a lazy dinner party in half a dorm room if you want to! Alternately, persuade someone with a more spacious locale to co-host with you. If you have a lot of close friends but not a lot of money for food, provide the main course yourself and ask guests to bring sides, drinks and desserts. Food can be based off of your theme or totally random. Keep your space and food restrictions in mind when planning a guest list. Invite people you like spending time with, and recruit a buddy to text people the day before so they’re more likely to show. Poker (or Cards Against Humanity, Dungeons and Dragons, MarioKart…) makes for a low-pressure get together, because there’s something to focus on during lulls in the conversation that doesn’t demand constant attention while you’re trying to catch up. 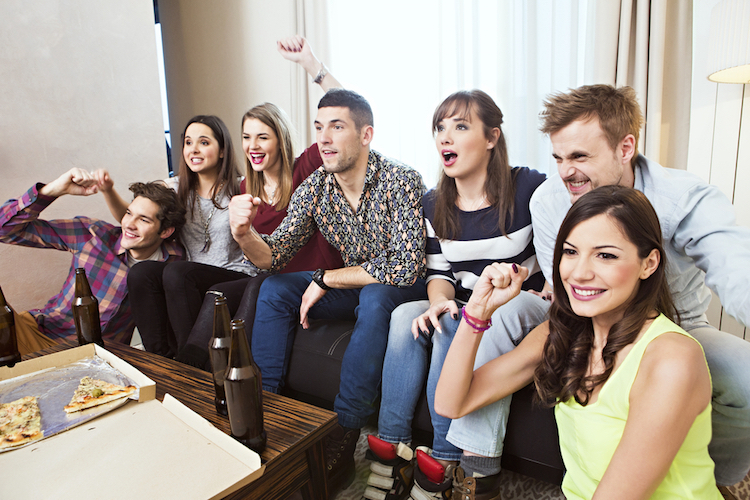 Plus, it’s super easy to plan: just pick a game and add in some snacks, drinks and friends. Friends: Binge watch a season (or five) while playing the trivia board game, eating Monica-inspired snacks and taking Buzzfeed quizzes about Ross Geller. Documentary competition: challenge your friends to find the weirdest (most conspiratorial, most niche…) documentary. Watch the winner and see who has the best commentary. It’s hard to have a backyard barbecue if you don’t have a backyard. Lucky for you, there are parks everywhere, and most of them have tables and grills that can be used for free. In warm weather, cook up burgers and hotdogs and enjoy the sunshine. On cooler days, use a fire pit, get some fresh air or have a snowball fight!